The Cemanahuac Educational Community has been providing the finest programs of Spanish language study in Mexico since 1974. The founders and current directors of Cemanahuac are Harriet G. Guerrero and Charles P. Goff. I have been coordinating group educational programs for 16 years for high school students, college groups, and adults who want to increase their ability in the Spanish language and their understanding of the culture of Mexico. I work with individuals and groups of all sizes to develop individualized programs of study which best meet the needs of each student, at a price that is affordable. Cemanahuac is able to offer excellent academic experiences for all levels of Spanish, due to the excellent testing procedures and skilled teaching. The basic approach to the study of Spanish at Cemanahuac is a balanced one, with emphasis on speaking and listening, reading and writing. Language and cultural studies are at the core of our curriculum, enabling the student to begin to reach toward a greater language competency. All Cemanahuac language teachers are native speakers, and all have extensive training in teaching Spanish as a second language to adult learners. All teachers have bachelors degrees in education or similar preparation. Students with little or no Spanish may enroll and study for as many weeks as their schedules permit; each person is given a written and an oral placement test upon arrival at Cemanahuac. The needs of those at higher levels can be met through our small class programs. Cemanahuac offers programs for graduate students and teachers of Spanish, and classes for these learners tend to be more content based and experiential. Classes meet four hours per day in small groups, which never have more than five students per class, five days per week. A fifth hour is available daily, at no additional cost, in the form of workshops in grammar, conversation, and special vocabulary, in the same small group format. Cemanahuac also offers an intercambio (language exchange partnership) for students, matching students with local residents for the purpose of language practice. Many "out of the classroom exercises" are included in the weekly program, with teachers escorting students to nearby spots for building vocabulary and learning situation-appropriate behaviors and language. Cemanahuac’s class-time emphasis is placed on the development of communicative skills, stressing speaking and listening, with grammar embedded in the exercises used to develop these skills. Field study trips, an integral part of the entire Cemanahuac cultural program, are sponsored each weekend to places of historic and cultural interest. 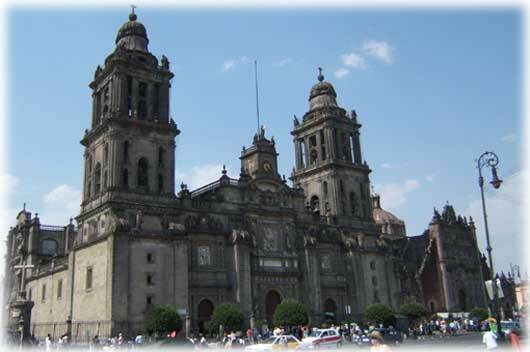 Areas around Mexico City, such as the Pyramids of the Sun and the Moon at Teotihuacan, the Museum of Anthropology in Chapultepec Park, the Temple Mayor in the center of the Valley of Mexico, the studio homes of Diego Rivera and Frida Kahlo, and the Folkloric Ballet presented at Palace of Fine Arts are frequent destinations. 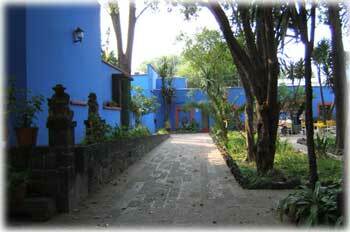 Shorter field trips in the Cuernavaca area are conducted through the week, and all excursions are led by Cemanahuac anthropologists with a special interest in Mesoamerica. A complete list of the field study trips and their cost is listed on our web page. All field study programs have a strong educational focus, and the time on the bus is used to discuss the sites to be visited. The busses all have audiovisual capabilities, and these are used for educational videos on topics of cultural and historical interest (e.g., videos on the archeological site of Teotihuacan and the Templo Mayor, the Aztec, the arts of Diego Rivera and Frida Kahlo, etc.). Please contact me for more information about individualized programs in the study of Spanish and the culture of Mexico.